Recently there has been a lot of media attention about sugar, but there are various types of sugar derived from different sources, so what exactly is sugar? Sugar is a natural ingredient that has been used as part of our diet for centuries; it is believed that sugar was first used over 5,000 years ago in the Polynesian Islands. Sugars are found in almost everything we eat, in one form or another and to varying levels. Sugars provide energy for the body, as they are carbohydrates. 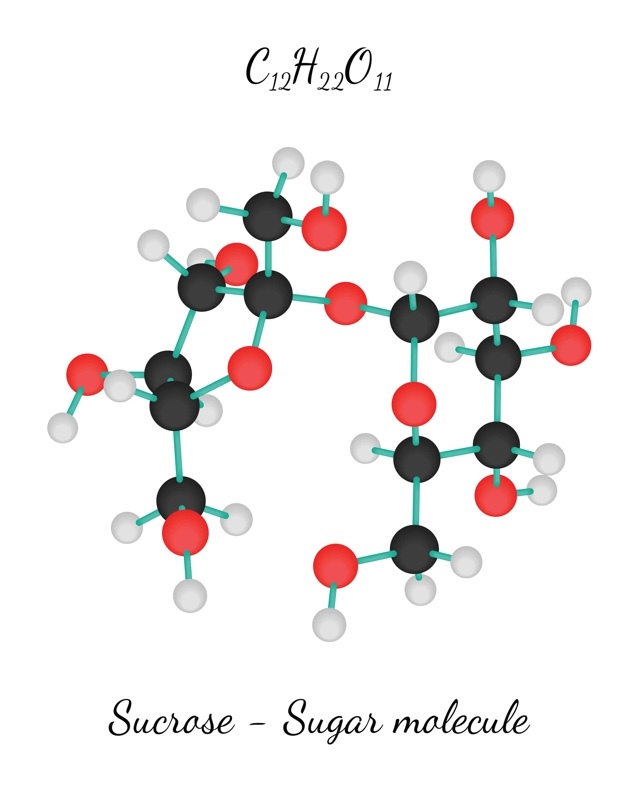 The white stuff, that we all know as sugar is sucrose; which is a molecule composed of 12 atoms of carbon, 22 atoms of hydrogen, and 11 atoms of oxygen (C12H22O11). Like all compounds made from these three elements, sugar is a carbohydrate. Sucrose is found naturally in most plants, but especially in sugarcane and sugar beets; which are the plants that produce the base raw material that Ragus sources to convert into pure sugars and syrups for food and drinks manufacturers to use as ingredients for taste, texture and appearance. At Ragus sourcing is at the heart of our business: we source sugar beet from Europe and travel the globe from Africa to the Caribbean to South America and Pacific countries to find the best, most reliable, and sustainably produced, certified sources of pure cane sugar. We build long-term relationships with our suppliers and give advice and assistance to promote the cause of sustainably produced pure sugar. Some sugars are found naturally in foods, like fruit and vegetables, while others are used during processing and cooking. Sugars are an important source of energy that we all need in order to survive. The most common sugar in the human body is glucose, which your brain, major organs and muscles need in order to function properly. The body breaks down all sugars and starches to glucose and the brain needs around 130g of glucose per day to cover basic energy needs. What are the most common types of sugar? • Sucrose (often regarded as table sugar) is formed from glucose and fructose. It is extracted from sugar cane or sugar beet and is naturally present in most fruits and vegetables. This is the sugar that we use daily in our homes, whether it is granulated, caster or icing sugar. • Fructose is a simple sugar, one of two sugar molecules that make up sucrose; the other is glucose. All foods that contain sugar contain fructose; often it is referred to as fruit sugar because it occurs naturally in many fruits, such as berries, melons, and apples. • Glucose is a type of sugar you get from the foods you eat, and your body uses it for energy. Carbohydrates such as bread, pasta, rice, fruit and cereals are common sources of glucose. • Lactose, or milk sugar, as it’s also known as, is the naturally occurring sugar found in animal milks and dairy products. • Maltose is also known as malt sugar and is found in beer and malted drinks. • Inverted sugar is similar to sucrose, but while the glucose and fructose molecules are bound together in sucrose, they are both free in inverted sugar; this causes a significantly sweeter taste than sucrose. • Golden syrup and treacle is a by-product of sugar refining and are a mixture of inverted sugar, sucrose and in the case of treacle, molasses. Golden syrup is a thick, amber coloured product, with a distinctive mellow taste, while treacle is darker syrup and has a more robust flavour. Ragus specialises in manufacturing five types of refinery syrup formulations: Golden Syrup, Cane Treacle, Liquid Sugars, Molasses and Invert Syrups. • Brown sugar, Muscovado and Demerara are essentially the same as white sugar or sucrose, however, these sugars are either less refined, meaning that the molasses component of the sugar cane extract has not been entirely removed or they are refined white sugar with molasses added back in. These are all brown in colour and have a caramel flavour. Here at Ragus we are specialists in high quality natural pure sugars and pure syrups, from raw cane sugar to specialist glucose-sugar blends. We source our sugars from certified supplier mills and refineries all over the world. The sugar arrives in thousand kilo bags inside metal cargo containers, which are taken directly from the ships to our Berkshire factory and it is here that the magic begins as we transform the sugar into bespoke pure sugars and pure syrup formulations for the food, drink and pharmaceutical industry to use in their products.